editor’s note: i am thrilled to introduce the lovely and talented jessie, of prior shoppingsmycardio fame, as our newest contributing writer! let’s send her some welcoming warm fuzzies, shall we? once upon a time, flying was glamorous. ladies would dress up in a suit with hosiery and a hat to fly. lately when i travel, i feel like the coach cabin is the equivalent of a greyhound bus. gone are the smart suits and chic hats – these days, you are more likely to see travelers in their pajamas. i am not advocating that we all step out in pillbox hats to fly, but who doesn’t want to feel chic after a day of travel? fortunately, it is possible to look great and be comfortable. let’s start with a fabulous carry on. it needs to be large enough to hold your essentials but not so big you are cursing the weight of it when your flight is delayed. keeping in mind that said bag is going to slip under the seat and the plane floor is not the cleanliest place, don’t carry a bag that you will be devastated when it gets gum or whatever else is lurking under your seat on it. with that in mind, for $118 you can’t go wrong with this aer satchel (even if it is by jessica simpson). i like to wear jeans when i travel: a wide legged pair in a dark wash looks put together yet effortless. 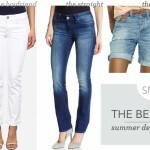 the faye jeans from citizens of humanity ($194) are perfect for travel. they have stretch in them so they will hold their shape, and they are really soft for your comfort. best part, the darts on the back do wonders for your posterior! travel days can be long, so wearing a fabric that won’t wrinkle is key, you never know when you will be late and have to run straight to dinner. a solid tee is perfect travel wear, you can always accessorize to dress it up. michael star’s tees wear beautifully; they have great lines and come in fun colors. i love the cotton scoop neck long sleeve in eggplant ($52), one of my favorite colors for fall. if you are more of a neutral girl, go with the java color. the longer length is perfect when bending down, so you aren’t showing anything you don’t want to. i heard someone say once that animal prints are either fifth avenue or call girl (and not the fabulous call girl, belle de jour, on showtime). this gorgeous leopard wrap by kashmere is definitely uptown chic, and you can pick it up at bluefly for the bargain price of $90 (marked down from $195). wearing a scarf when traveling is key, if you are cold you can use it as a blanket, or in a real crunch as a pillow. airplanes can be chilly, so layer a chic blazer like this cotton blazer from banana republic ($125). in khaki, it will work with most anything you have packed for your trip, and is sure to become a classic in your wardrobe. finally, footwear. who are we kidding…it always come back to the shoe! i am going to suggest wearing a classic heeled boot like the classic campus boot from frye ($398). this boot will look amazing under your wide leg jeans or over your skinny jeans. i have been coveting frye boots, ever since i was in high school and i would wear my mom’s vintage pair. i recommend a boot over flats because when you are enduring the humiliation of security and you have to take your shoes off, don’t add insult to injury by having your bare feet touch the floor! boots = socks! wearing your boots will also save room in your luggage for all your other shoes! now that you are gorgeously dressed for your travel, enjoy your trip! and don’t worry…all that staring is only because your fellow passengers wish they looked that chic! 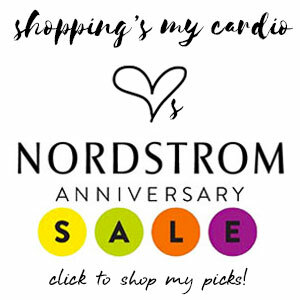 this just in: nordstrom anniversary sale preview! the shopbop spring sale is on! This entry was posted in accessories, fall, fashion, guest posts, handbags, shoes, travel and tagged Add new tag, citizens of humanity, frye, jessica simpson, michael stars, shopbop on 14 August, 2008 by jessie. Thank you Jessie, When I see people in the airport in their pajamas and slippers I have to refrain from walking up and slapping them, then refrain from asking “who is your mother?” If you weren’t raised with ‘good sense’ you’re now old enough to have learned it yourself. Always arrive anywhere ready! A pet peeve of mine is seeing travelers in sloppy clothes that I wouldn’t even consider wearing to the gym. Your picks are all absolutely fantastic. I’ve had my eye on that Bluefly wrap for a while, thanks for reminding me. And that Jessica Simpson bag is really lovely — she does put out some tasteful things every now and then! that bag is JSimp? my mind, it is boggled! Copyright © 2008 shoppingsmycardio.com; all rights reserved.